Can Your Farm’s Finances Weather a Storm? After several years of financial gains in agriculture, we face an uncertain future. Does your farm operation sit on a solid base, prepared to weather a storm? Or are you floating along unaware you are in a position of high tide? The programs described below have been created to address agricultural finances in today’s changing world, including a full-day program focused on the impact of changes to farm finances and moving towards a multi-session program that covers a multitude of information in an interactive setting. Program developers and presenters for the program include Kelvin Leibold, Tim Eggers, and Kristen Schulte, and Ann Johanns, ISU Extension farm management specialists. 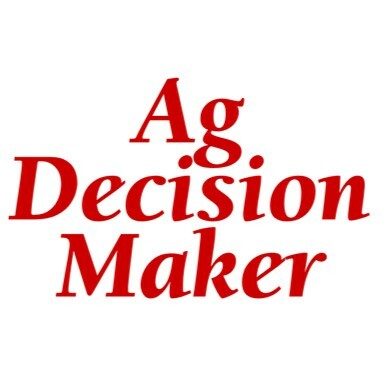 “The USDA marketing year average for corn in 2012 was $6.89, predictions going forward are showing a price closer to $4.50.” says Leibold. “Soybeans show a similar story, going from $14.40 in 2012 to $12.15.” When high prices leave, will your boat be left stranded on the shore? Deep Water or High Tide? Learn how changes to interest rates and other input costs can affect your net farm income. How can you manage these changes to balance lower prices and rising costs in the future? Spend a day playing the game of farm finances. Win prizes and gain greater knowledge of farm finances! Practice simulations to build a financial picture from a case study. The day will allow you to learn with other participants from team leaders on the basics of having a solid financial foundation. All sites begin at 9:30 a.m. and wrap-up at 3:30 p.m. Registration is $25 at all locations. To register, contact the County Extension Office for the preferred location listed below. Knowing the resources available for analyzing your financial position will make you better able to ride periods of low prices and farm income. Programs will be offered at various locations in Ohio and Iowa. These programs have been developed through a grant from the North Central Risk Management Education Center and USDA National Institute of Food and Agriculture. Monday Evenings (January 27—February 17), 6 – 9 p.m.
Tuesday Evenings (January 28 – February 18), 6 – 9 p.m.
Wednesday Evenings (March 5 – March 26), 6 – 9 p.m.